Day 1- St Petersburg is bewildering, overpowering, and grandly beautiful. I lug my suitcase down the great Nevksy Prospekt, and struggle to make out signs depicted in letters I’ve previously only seen on confectionary. My hotel is situated in between the prestigious ballet academy the Vaganova, and the famous Mariinsky Theatre. As the city darkens I go to visit the Isaac Cathedral. It’s surrounded by neo-gothic statues, with young couples kissing in amongst all its dark corners. Day 2- In the morning I visit the Nabokov museum. A quote by the writer on one of the video installations seems particularly relevant to my situation. ‘Reality’ he says ‘is perpetually eluding. A plant has a deeper reality for a botanist than for a layman. All you can do is progressively delve through the layers.’ It strikes me that this is all I am trying to do. More immediate concerns hit me when I grow hungry. Using a phrase book I work out how to say ‘rice’ ‘chicken’ and ‘coffee’, and I eventually successfully order a meal. As I finish it though it transpires that the waitress spoke fluent English, but was too polite to interrupt me. Day 3- I am met at the hotel by Maria, a guide who takes me backstage at the Mariinsky Theatre. 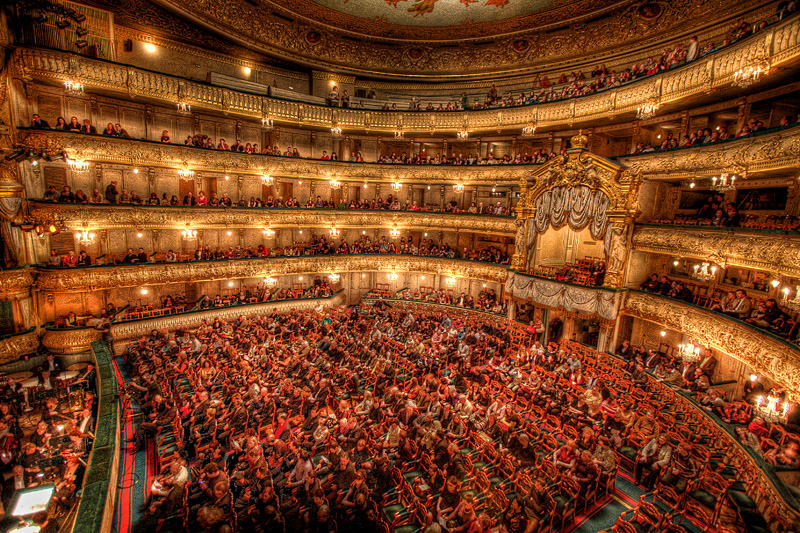 This is where I will begin the pursuit of my character Yelena, whose letters comprise the book. In my story she dances here at her graduation. Maria and I view the grand, hand painted stage-curtain and gold encrusted stalls from the royal box. Backstage ballerinas with talced faces peer at us from their dressing rooms while they chat on mobiles. I am taken through winding corridors full of ballet dresses, ancient props, and determined seamstresses. I feel like I have been placed in a fairy tale. 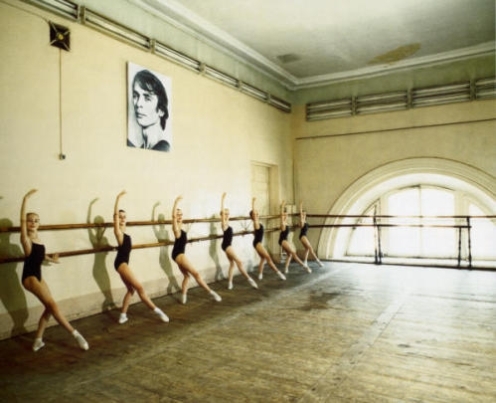 Day 4 - After months of persistence I find out I have been permitted entry to the Vaganova Ballet Academy. I’ll be one of the few British people to ever fully set foot in the academy, a place which jealously guards its secrets. 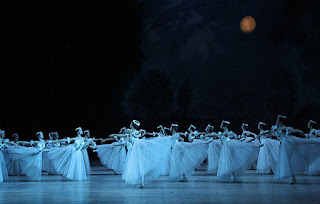 Writing a book about a Russian ballerina was not anything like enough of a reason to be allowed in. I had to prove I had relevant personal connections, and I also had to pass as a ballerina myself. Maria expresses some relief that I could still feasibly pass this test. I for once feel glad of my relatively slight build. Although it’s part of Maria’s job to set up such tours, she has never been able to get into the academy herself before, and is very excited to realize this life’s dream. I am shown around the academy by it’s pro-rector Aleksi, who was himself a ballerina. He kindly endures my relentless barrage of questions as he leads us around. He is used to intensity, and tells me dancers regularly require therapy when they are retired at 35. In endless halls, overlooked by portraits of Nureyev, young ballerinas repeat routines from early in the morning to late at night. The haunting refrain of repeated piano music echoes through the halls. I’m taken into the hall of residences. Each ballerina has a small corner in which their worldly possessions are condensed. As they are rarely allowed visitors, my presence causes a bit of commotion. One ballerina is convinced I am French, and keeps speaking to me in that tongue. I just nod and repeatedly say ‘Oui’. Maria wonders why I don’t just tell her I am English. As I leave some of the ballerina's also make their way out to get pizza at the square nearby. They are permanently hungry. Day 5- I’ve been able to get tickets to watch the famous ballet ‘Giselle’ at the Mariinsky Theatre. Noble families take their children here as part of a cultural rite of passage, and they are in evidence dressed in their finest clothes. The scrum for seats does not seem fitting for such an elegant enterprise. The performance itself is very powerful, and many are in tears at the end. The public expression of emotion here seems to provoke admiration, rather than shame. The lead ballerina, the very young Alina Somova, returns for three encores and is laden with flowers. Day 6- On my last day I take in the cities architecture and gardens. My mind is constantly looking for places in which my characters romantic liaisons could have taken place. The mental image I had of Yelena came from a photo of a model in a cosmetics advert, which I stumbled across in a magazine. 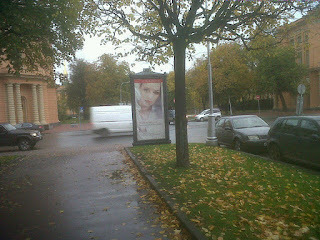 On my way back at the end of my walk I happen to see this same advertisement on a billboard just behind to the ballet academy. 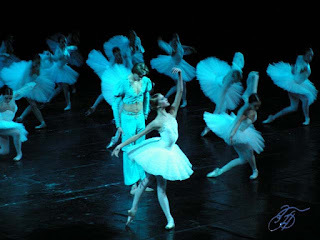 Although I remain far from an expert in ballet, in some small way it feels like I have finally found Yelena in this city.